Aal sekkin is a lighting fixture inspired by all the violence and recent terrorist attacks happening in the world . The name derives from "Aal sekkin ya batikh" a familiar Lebanese slang for street vendors selling cut watermelon. 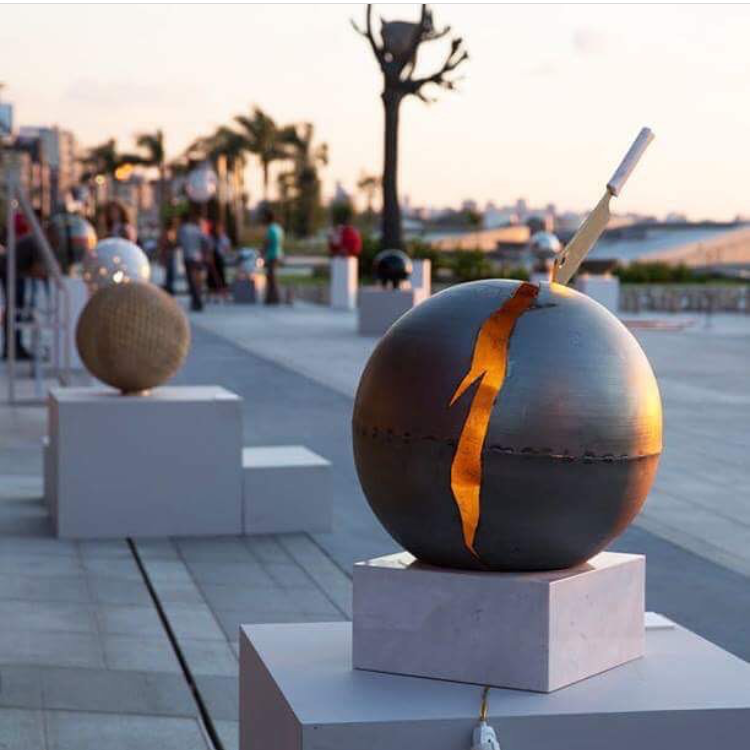 On one side the sculpture represents the earth being stabbed and dripping "light" blood revealing the gold leaf plated center, on the other side it resembles a watermelon being butchered in two halves. The pure gold knife symbolizes the noble death acts being done by "sacred" dogmas. Which God? For God! What God?